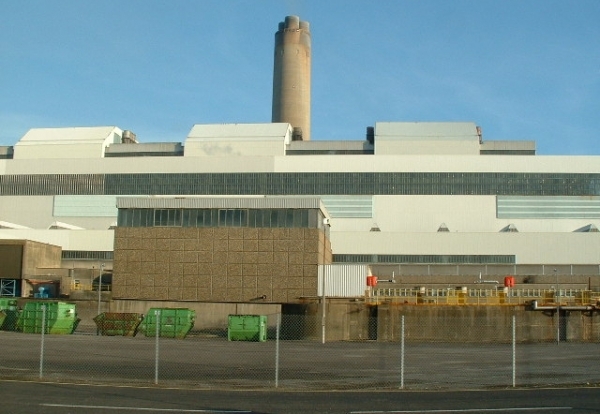 Contractor AMEC and energy giant RWE npower have been fined £450,000 after a maintenance worker fell to his death at a South Wales power station. Agency worker Christopher Booker fell 12m through an unprotected opening in a working platform at Aberthaw Power Station in June 2007. Cardiff Crown Court heard that work was being carried out to fit equipment into a deep pit in the water cooling system to hold back seawater when the tide rose. 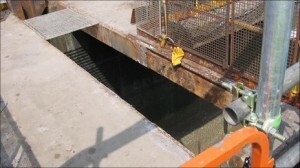 Sections of the floor gratings at the top of the pit had been removed to allow the work to proceed. Booker was working with a team of eight workers, called in to carry out urgent modification work on the equipment to ensure an effective seal of the pit. As the natural light faded, electric lights were turned to face workers doing grinding work leaving the top of the pit in near darkness. Booker fell through the opening in the walkway to the floor below and died from multiple injuries to his chest and pelvis. A Health and Safety Executive investigation later found a large unprotected opening in the walkway where floor gratings had been removed. The investigation also identified confusion and misunderstanding between RWE npower and principal contractor Amec over who was responsible for controlling the work at the time of the maintenance worker’s death. RWE npower admitted breaching health and safety rules and was fined £250,000 with £30,000 costs. Principal contractor Amec also pleaded guilty and was fined £200,000 with costs of £30,000. After the sentencing, HSE Inspector Caroline Bird said: “This tragic case highlights the consequences of failing to do something as simple as adding protection to an opening in a walkway. “Inadequate planning and a poor choice of safety control measures meant that a very obvious hazard remained. “This awful incident could so easily have been prevented had the correct safety measures been taken.